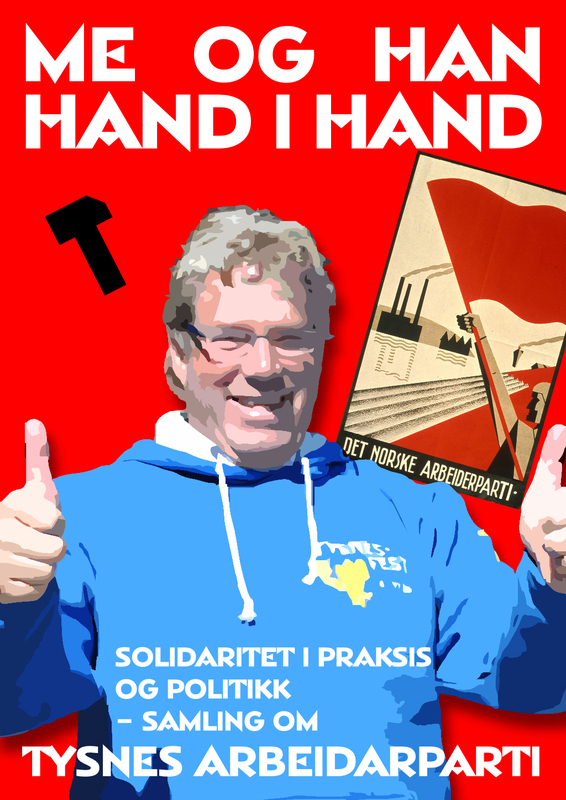 We have a brand new mayor this coming Tuesday; my good friend (hell, everybody’s good friend) Kjetil Hestad, a through and through stand up guy, constantly flashing his thumbs – representing Norwegian Labour. Which of course made it all the more tempting to make a 1930s-style poster, to indicate that our island is going red as the redest menace (or would be, had it been the 1930s still). Way to go, Kjetil! We’re flashing our thumbs, too!